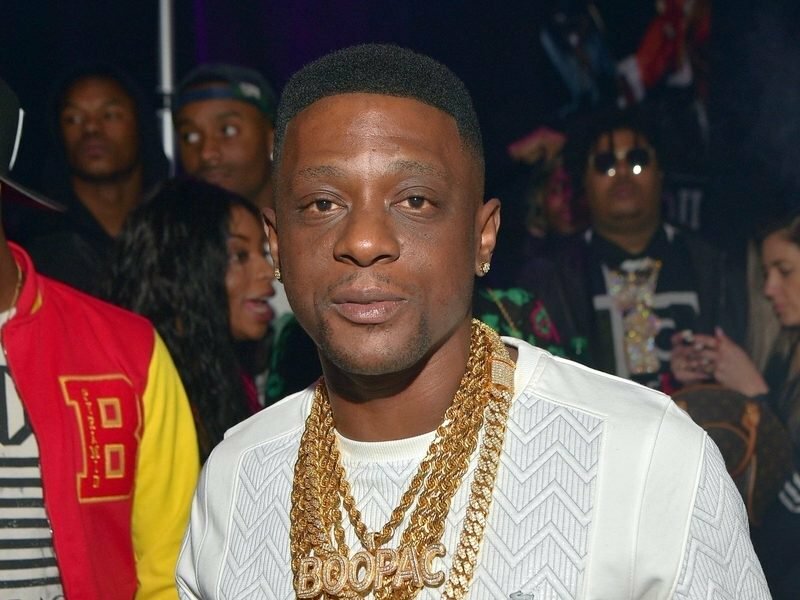 Coweta County, GA – Boosie Badazz and his bodyguard Antonio Allen were arrested in Coweta County, Georgia after they were reportedly stopped by police on Monday afternoon (April 8). An ficer observed a white Dodge Charger swerving lanes and nearly sideswiping another vehicle, according to TMZ. After searching the vehicle, police discovered a bag marijuana, loaded 9mm handgun under the passenger seat (where Allen was sitting), vape pen and bag cash. Boosie was reportedly at the wheel.